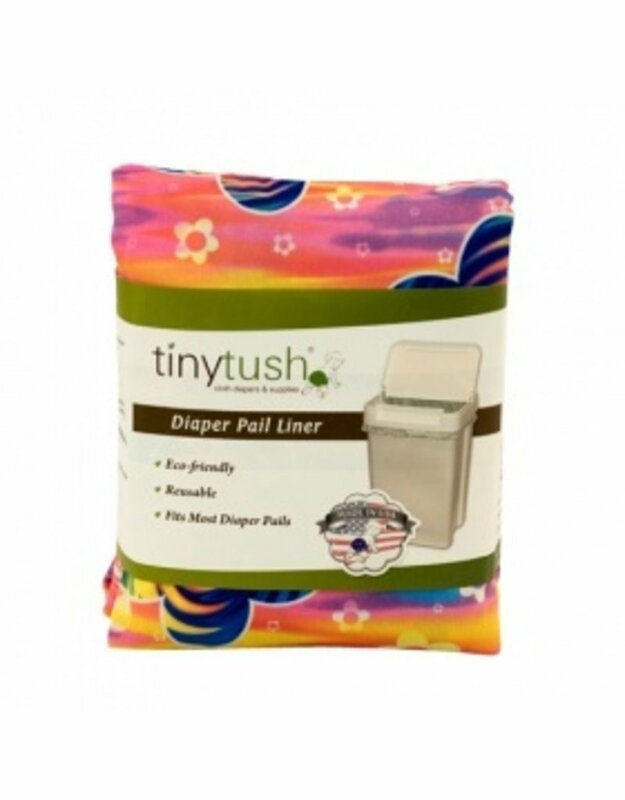 Size: * 26" x 28"
Tiny Tush diaper pail liner is made of high-quality anti-microbial polyurethane laminate (PUL) polyester fabric. The anti-microbial properties of our proprietary fabric inhibit the growth of bacteria and mold. 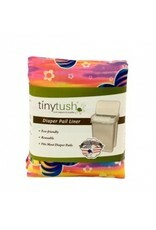 Our diaper pail liner has a built-in scent disk pouch that turns any kitchen trash can into a diaper pail. 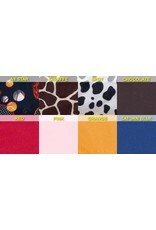 The liner is 24"x28"x10", which fits a wide range of trash can sizes, even extra tall kitchen trash cans. 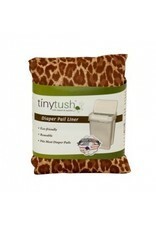 If you use the 54-quart pail used by diaper services, this pail liner will fit nicely. 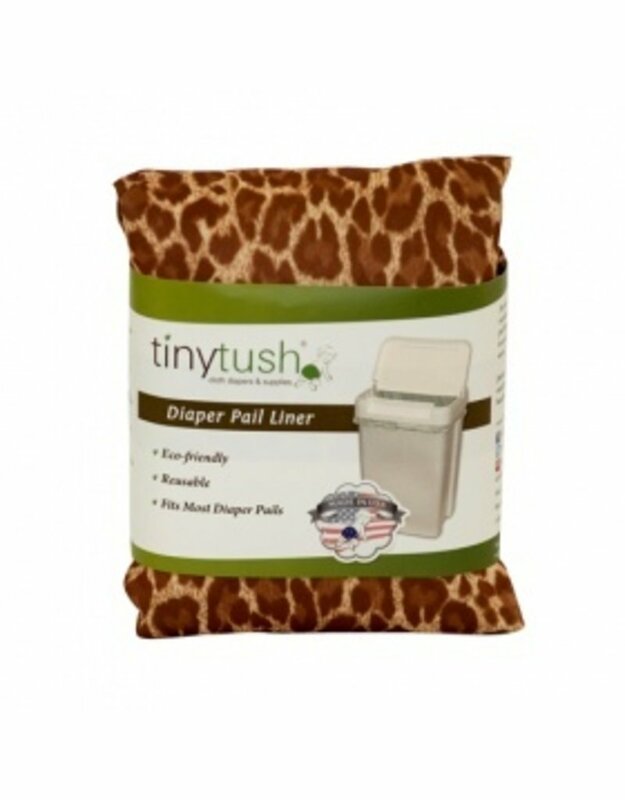 They have the same drawstring used by industrial diaper service which allows you to securely close the pail liner to transport the soiled diapers to the wash. Tip #1: For your convenience, we recommended you to get two, so you will have one in use while the other is in the wash. Tip #2: If you prefer not to use scented discs, the attached pouch is an ideal place which to apply a few drops of your favorite essential oils. Remove scented disk before washing. Wash with diapers. Hang or tumble dry on low, to medium heat.